"You can either kill him or mind-control him," says the handler watching over my shoulder as I play Lord of the Rings: Shadow of Mordor. I'm staring down at Kaka the Legend, an orc war chief, as he begs for his life. This is the same Kaka the Legend who murdered fifteen of my best men. It's the same Kaka the Legend who taunted me on the battlefield, and then killed me with a blow from behind. It's the same Kaka the Legend who ran away from our next encounter like a coward. I chased him, I knocked him down, and here we are—me, a man of the resplendent White City of Gondor, towering over this bleeding uruk leader, his fellow orcs scattered about at odd angles where they fell to my sword. I entered my Shadow of Mordor demo with a substantial amount of skepticism. I'd seen the game's first two trailers and, well, it didn't look like Lord of the Rings. At all. I wouldn't say I'm the biggest Lord of the Rings fan. I don't check up on the lore religiously or anything. My dad did hand the books to me when I was ten, though, and I've read The Hobbit, the trilogy, and even The Silmarillion multiple times. And you know what? 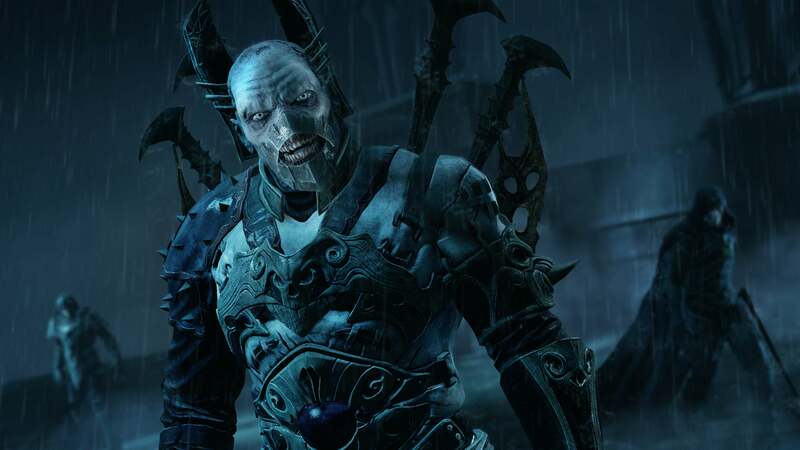 Even after playing Shadow of Mordor, there's still a bit of that doubt. It certainly looks like Lord of the Rings. Monolith has brought back the grim, greyish-green aesthetic of Peter Jackson's original "Lord of the Rings" trilogy, eschewing the hyper-realistic colors of "The Hobbit." The orcs look like orcs, Mordor looks like Mordor, and the main character even has that holier-than-thou Gondorian disposition. Plus the menus use what I can only think of as "the Lord of the Rings font." Those initial two trailers made it seem like Monolith and/or WB had a fantastic idea for an Assassin's Creed-style game and then hammered the Lord of the Rings license over the top of it. After playing an hour or so of the game I can say that it still seems that way, but it's far less egregious than I thought. For one, the team at Monolith seems to really respect the Lord of the Rings license. One of the leads on the project was name-dropping all sorts of B- and C-tier characters during our initial presentation—Celebrimbor this and Isildur that and "Oh, there's this one part of the Lord of the Rings appendices where..."
There are all sorts of hidden lore collectibles around the world that take advantage of this knowledge, if you're the type of person that likes to find that stuff. Since it's an open world, the order in which you discover these artifacts (if you find them at all) can vary, and supposedly your opinion of various characters will change entirely based on what you've found so far. We also got a glimpse at a story mission that involved our old friend Gollum/Smeagol. 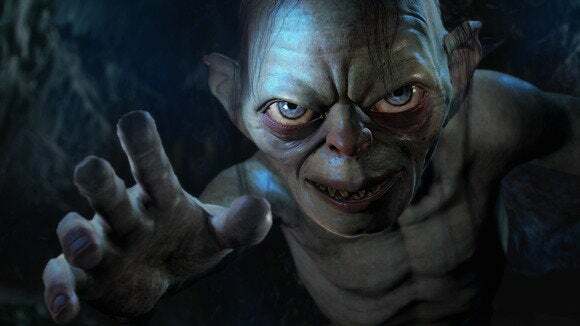 Gollum's not the only A-lister to make an appearance, by the sound of it, and so we'll get a taste of what happened to these characters in the eighty years between The Hobbit and Lord of the Rings. That's a fascinating proposal, and one I'm intrigued by provided it's not a complete crock of garbage. But it's while playing Shadow of Mordor it becomes hard to keep in mind that this thing is tied to the Lord of the Rings name. You're possessed by the ghost of Celebrimbor, who's infamous for forging the Rings of Power (including the series' favorite macguffin, the One Ring). He and Sauron have some unfinished business to attend to, obviously, like some sort of ghost-on-ghost jilted lover's quarrel. To help Celebrimbor you'll scale entire walls, chop a million orcs into pieces, and use mind control? 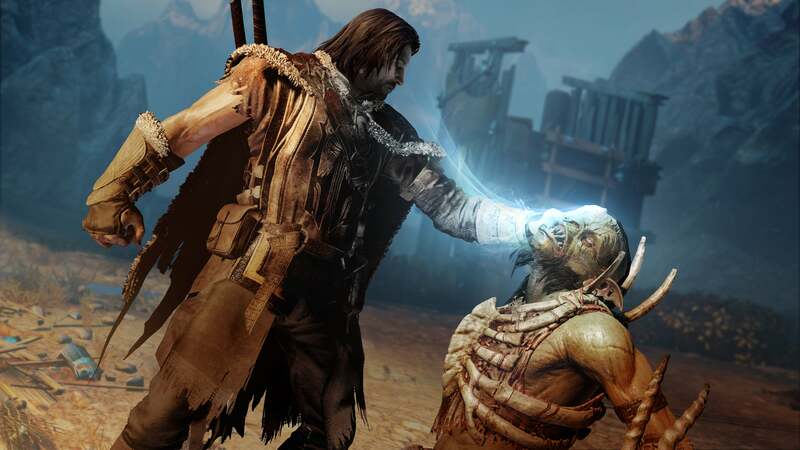 The heart of Shadow of Mordor is the nemesis system. Orcs aren't just fodder enemies—occasionally the game promotes some to Captain status, which gives them a name and a "backstory" of sorts. The game then tracks where these Captains are at all times, as they interact with each other behind the scenes and play out power struggles. At any time you can go and hunt down these Captains, either killing them or using your weird wraith mind control powers on them to make them yours. With the latter, you can send your dominated orcs out on your own missions, causing them to infiltrate a rival orc's power structure or assassinate a leader. And if one of these Captains kills you or escapes from a battle, the game "remembers" what happened the last time you met up and tries to play it up the next time around. Dying, instead of resetting you at a save, causes a nebulous amount of time to pass in the game world, with Captains growing stronger and betraying each other in your absence. It's a fascinating system, but also turns this into basically a hunt-the-orc action game, and in those moments the orcs could really be reskinned as any generic enemy without a problem. It's easy to forget you're playing a Lord of the Rings game when you're slicing and dicing an entire army of orcs and causing some of their heads to explode with the power of wraith energy or something? That being said, I really enjoyed Shadow of Mordor. 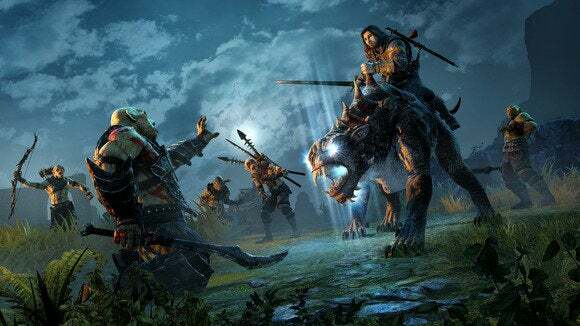 If your only complaint is that it doesn't seem much like a Lord of the Rings game, well, I'm still not convinced it is much of a Lord of the Rings game. But it is a fun game, period, regardless of the license attached. Combat is fluid, voice-acting is solid, and hunting down and then drawing out the high-ranking orcs for vengeance is deeply satisfying. I didn't really need a story to enjoy that part of it for an hour, though I'm still curious how much repetition you'll notice after playing for twenty or thirty hours. 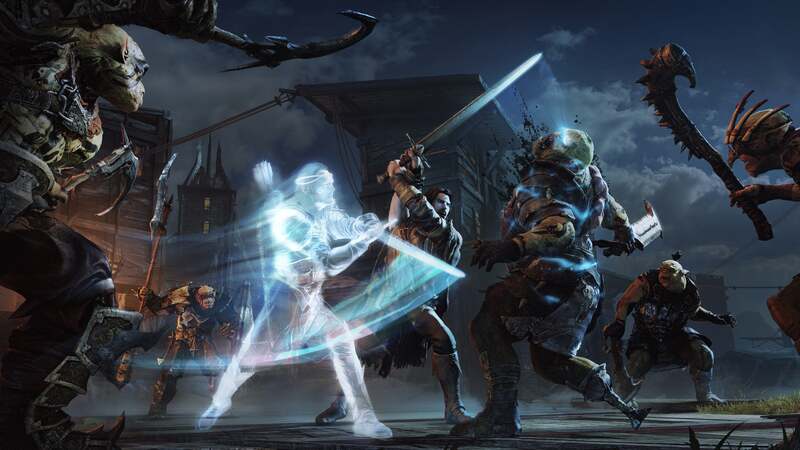 I had fun with Shadow of Mordor—way more than I expected prior to the demo. We'll have a full review when the game launches in October.